Any kind of knee injury is painful. ACL injuries are more painful than most. Unfortunately, they're also more common than most! At balanced Health and Medical, we've seen our share Anterior Cruciate Ligament injuries--and we know how to treat them. Located near Rockefeller Center, our Midtown chiropractor team and fully licensed M.D. can help ease your pain and heal your body. Do You Have These Symptoms of ACL? 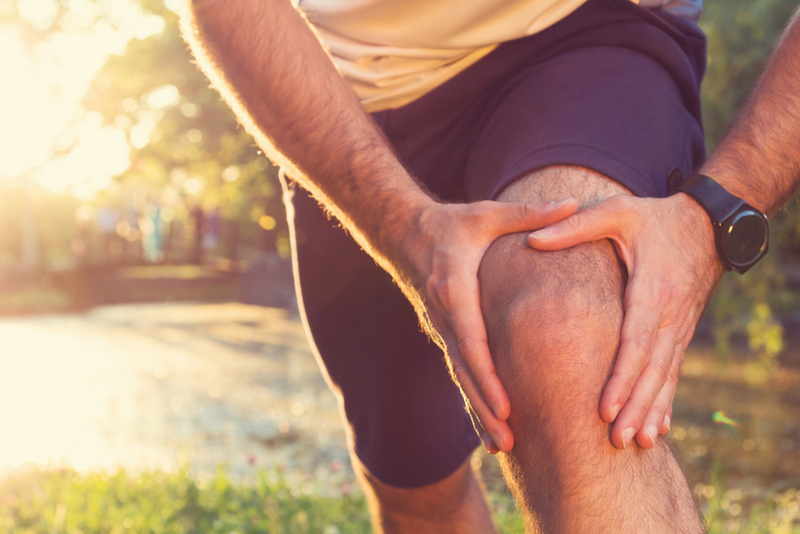 If your knee pain is moderate to severe, and you got it while jumping, twisting, or making other rapid movements that put a strain on your knee, it's very likely you could have an anterior cruciate ligament injury. The knee feels weak, unstable, or otherwise unable to support the weight it usually supports, sometimes referred to as a "trick knee"
What Causes Anterior Cruciate Ligament Injuries? ACL injuries usually occur when the knee is twisted out of its normal range of motion. This can happen from a quick turn or from jumping and then landing at a hard or awkward angle. ACL can also be caused by hyperextension or by sudden stops in movement. In nearly all cases, it is associated with rapid movement in a sport or other activity. Our two chiropractors have extensive experience with knee injuries and other sports injuries. Their care will help relieve pain, usually with the first session. In addition, seeing either one of the best chiropractors NYC has to offer will help your body heal itself more quickly than standard medical care. If surgery or invasive medical procedures are needed, our medical doctor is able to write a referral. In the rare case, you need to undergo surgery, chiropractic care can reduce pain, help you heal, and help you return to your active lifestyle more quickly. Located near Rockefeller Center in the 10022 zip code, Balanced Health and Medical serves East Side, West Side, and Midtown Manhattan. Dr. John Calabria earned his doctorate in chiropractic in 1996 and has been practicing in New York since 1998. Dr. Sidney Inkelis received his medical degree in 1977, worked at Stony Brook Hospital--Northport until 1981, and has been in private practice since 1982. Dr. Elijah Manfredi is an experienced, caring chiropractor who speaks fluent Spanish and Italian in addition to English. If you're suffering from pain caused by an anterior cruciate ligament injury, you don't have to keep suffering! Call us to receive an appointment with the best chiropractor NYC has to offer. Call us now at (212)-755-1717.